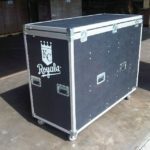 Our signature line of custom ATA shipping cases and containers is sure to provide you and your discerning clientele with the utmost in protection and storage for all your gear and equipment. 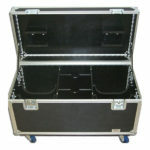 ATA Cases are versatile, industrial strength cases meant for protecting and securing your gear for transport or shipping. They make great cases for airline and truck travel. 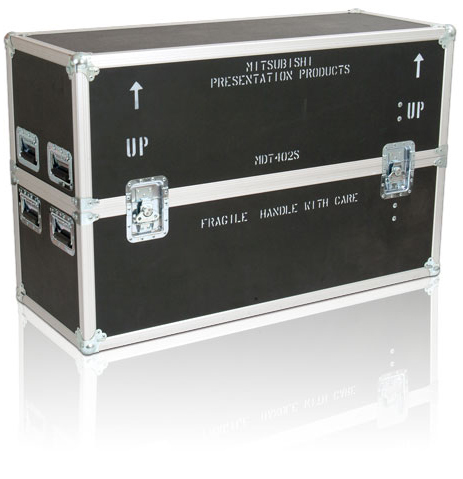 They are rugged and ATA cases are the perfect storage and transport solutions for concerts and events, trade shows or any situation that might need a tough case to protect it. We custom build our ATA cases based on your needs. Our custom cases are engineered to exacting specifications- with your unique requirements in mind. We design every custom case in AutoCAD, precision-machine the panel stock on our KOMO CNC routers and assemble your case with our proprietary, double-angle extrusions for the most durable ATA case on the market. We back all our custom ATA cases up with a LIFETIME Warranty. Contact us today to find our more.